What's That New FICO Credit Score All About? What Does My Credit Score Really Says About Me? It’s important to be aware of common pitfalls that can hinder your journey to improving your credit score through financing a car. Improving financial savvy is reliant on understanding what helps and hurts your score. Late Payments– One of the best ways to ruin your credit score is to pay late. Did you know that a grand total of 35% of a credit score is payment history? If you’re late all the time on credit card or loan payments, you’re definitely going to hurt your score. Not Paying at all –Even worse than paying late is not paying bills at all. Did you know that failing to pay bills could result in your account being charged off? When creditors think you’re not going to pay, they’ll charge off your account, which is one of the worst things that can happen to your credit score. Even if your account is closed, however, you still owe what you did before. Defaulting on Your Loan– Similar to charging off on your credit account, a loan default will show that you haven’t fulfilled your side of the contract. This is a great way to damage your credit score and put you close to bankruptcy. Not Using Your Credit Card –While carrying around a lot of debt isn’t good for your score, it can also be detrimental not to use your credit cards. If your credit company marks your account as inactive, you may risk having the account closed. This will result in fewer accounts available to you and may affect your credit utilization rate, which will negatively affect your credit score. Applying for Credit You Don’t Need– Some stores offer “come-ons” that promise huge discounts when you apply for store credit. Believe us, it’s not worth it. If you apply for extraneous credit, this will usually trigger a credit inquiry, which can make you look like a risky case for creditors. Maxing Out Your Account– If your credit limit is set at thousands of dollars more than you need and you meet that limit, this is called “overutilization.” Creditors don’t like when your debt-to-credit ratio is that high, so try to limit how much you owe. Too Many Finance Plans– If you apply for credit to finance too many small purchases, you may find that your account will be maxed out, affecting credit utilization rates. Unpaid Parking Tickets– Just like all other bills, if you don’t pay parking tickets, you’ll be charged late fees until they are paid. This could also result in fines getting sent to a debt collector. A third-party debt collector trying to reach you means that your creditor has given up and hired someone else to do it, which can indicate a huge credit deficit. “Closed” Credit Accounts– If your account isn’t actually closed as you’d intended it to be – even if it’s not necessarilyyour fault – the credit company could be charging you for an account in your name that’s still open without you realizing it. Make sure that when you close an account, you complete all the necessary steps so you don’t end up with an outstanding bill that will surprise you several months down the road. If the down payment higher than expected, what options are available. Thank you for reaching out! 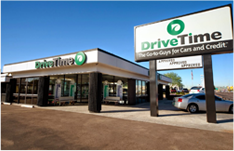 If you would like to explore options that might be more suitable to your needs, I would strongly encourage you to reach out to your local DriveTime dealer. 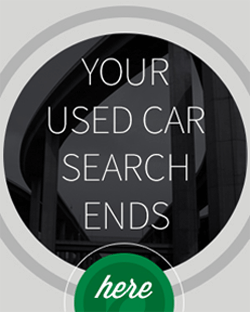 If currently financing a vehicle with your company and thinking about financing in additional to, what are the chances of getting approved for another vehicle while paying one monthly currently? Thank you for reaching out to us and we appreciate you being a loyal customer! In regards to getting approved for another vehicle, I would encourage you to visit your local DriveTime dealership and a member of our Sales Team will be glad to answer all of your questions. You may also contact our Corporate Sales Team at (800) 965-8042.